913 06-08-04 OH Lethal Injection William G. Zuern, Jr.
Zuern was charged with the murder of Gregory Earls, and was confined awaiting trial at the Community Correctional Institution, a Civil War-era prison known as "the Workhouse. Earls had been an informant who testified against Zuern's father. Phillip Pence was a 26-year-old Hamilton County Sheriff’s Deputy at the CCI. Acting on a tip, Pence and 3 other jailers went to Zuern's cell to check it for weapons. They found Zuern standing in his cell, naked. When the cell door swung open, Zuern lunged at Pence and stabbed him in the chest with a sharpened bucket hook. The shank pierced three holes in Pence's heart. Zuern later pled guilty to the murder of Earls and was sentenced to a life term. State v. Zuern, Not Reported in N.E.2d (WL 6507), Ohio App. 1 Dist., Jun 11, 1986. (Direct Appeal). State ex rel. Zuern v. Leis, Not Reported in N.E.2d (WL 33718), Ohio App. 1 Dist., Mar 28, 1990. (Discovery). State v. Zuern, Not Reported in N.E.2d (WL 256497), Ohio App. 1 Dist., Dec 04, 1991. (Postconviction). Mashed potatoes and gravy, lasagna, macaroni and cheese, garlic bread, corn, chocolate milk and cherry cheese cake. William G. Zuern, 45, was convicted of killing a Hamilton County sheriff's jail officer in 1984. Zuern was found guilty of aggravated murder for stabbing officer Phillip Pence in the chest on June 9, 1984, with a dagger-like piece of metal. In July of 2003, the 6th U.S. Circuit Court of Appeals rejected a lower court ruling in favor of Zuern, which could have provided a new trial for him. Hamilton County sheriff's officers said they received a tip from another prisoner that Zuern had a homemade knife in his cell and that he had threatened to kill a prisoner. When officers arrived to search for the weapon, Zuern, who had been told they were coming, stabbed Pence, officers said. Prosecutors said he had prior intent to kill the officer. A prisoner who testified as a prosecution witness said that several weeks before the stabbing, he saw Zuern sharpening part of a metal bucket hook and heard Zuern express hostility toward jail officers for not allowing him a full five minutes of telephone time. UPDATE: For nearly 20 years, a former jailhouse officer has carried a copy of the death warrant for the man convicted of murdering one of his best friends, hoping to one day witness the man's execution. "That would be kind of a cathartic way of closing the book on this," Gary Roush said Monday. The Ohio Supreme Court has set a June 8 execution date for William G. Zuern, 45, who killed jailer Phillip Pence with a homemade knife on June 9, 1984. A federal judge has put the execution on hold. While an appeals court considers whether to let the state proceed, the Ohio Parole Board holds a hearing Tuesday in Columbus to determine whether to recommend that Gov. Bob Taft grant clemency. "I was at several days of the trial, including the death penalty phase, and what Zuern said has stuck in my head for 20 years," Roush said. "He said, 'I have no desire to beg or plead; do with me what you will.' "He waived all mitigating factors. It was kind of like a spit in the eye. I'd tell the parole board, why not fulfill his wishes?" Roush plans to attend Zuern's execution, if the appeals court allows it to go forward. "Our policy is family members have the first option," said Andrea Dean, spokeswoman for the Department of Rehabilitation and Correction. "If they choose not to attend, they can name a friend or someone who has something to do with the case." Roush was a 22-year-old jailer at the Community Correctional Institution, a Civil War-era prison known as "the Workhouse," when Zuern killed Pence. Roush, Pence and two other jailers, acting on a tip, had gone to "A" block to inspect two cells for weapons just after the 10 p.m. lockdown. They found Zuern standing in his cell, naked, Roush said. When the cell door swung open, Zuern lunged at Pence. "I was only about 6 feet away from him when he was killed," Roush said. "I saw everything." Prosecutors got a quick conviction, and Roush was not asked to testify at Zuern's trial. He left the Hamilton County sheriff's department in 1990 to work in the suburban Miami Township police department in Clermont County, east of Cincinnati. Pence's only local relative, half sister Sherry Behler, said she would not attend the clemency hearing because her husband was scheduled for medical tests. She said Roush would read her letter to the parole board. "I understand there are people in jail who are innocent," Behler said. "With DNA testing and all they have now, those people often go free. I feel with him, with all those eyewitnesses, the appeals shouldn't have gone on so long." Behler said she would make it to Zuern's execution, if that occurs. "His first execution date was Feb. 5, 1985," she said. "He should have gone ahead and taken his punishment at that time." Court records show that Zuern fashioned a dagger-like knife, known as a shank, out of a bucket hook and used it to stab Pence in the chest. Another jailer slammed the cell door shut, locking Zuern inside, as deputies helped Pence to a picnic table where inmates played cards. "All we saw at first was a little bitty spot of blood on his T-shirt. I said, 'Damn, Phil, you got stuck,'" Roush said. "He turned ash gray and his knees buckled." Roush learned later that the shank had pierced three holes in Pence's heart. Zuern was convicted of aggravated murder and sentenced to death for killing Pence. But he also is serving a life prison term for his guilty plea to fatally shooting a Cincinnati man, Gregory Earls, 24. Zuern was awaiting trial for the shooting when he stabbed Pence, a month after shooting Earls. Defense attorney Kate McGarry has declined to say if Zuern has any living relatives, or what attorneys would present at the clemency hearing. In past appeals, the defense has argued that prosecutors failed to turn over a memo that would have indicated that Zuern wanted to kill a fellow prisoner, rather than a jailer. They contend that would have showed the lack of premeditation needed for a capital conviction. LUCASVILLE -- William G. Zuern, formerly of Price Hill, died at 10:04 this morning for the murder of a Hamilton County jailer. Zuern was sentenced to death for the fatal stabbing of Hamilton County corrections officer Phillip Pence 20 years ago tomorrow. The 45-year-old died six minutes after two lethal drugs -- pancuronium bromide to stop his breathing and potassium chloride to stop his heartbeat -- began flowing into his veins. His death was a peaceful one. His chest heaved several times, and his lips parted with slightly labored breathing for several minutes before his breathing stopped forever. Zuern's face and shaved head turned lightly purple before prison officials drew a curtain between Zuern and the witnesses at 10:03 a.m. After a prison doctor performed a quick examination, the curtain was reopened and Warden James Haviland drew a microphone to his mouth and said, "Time of death 10:04 a.m."
U.S. District Judge Walter Rice, ruling in Dayton, had issued a stay in the execution order Monday, but that was vacated by a three-judge panel of the 6th Circuit Court of Appeals in Cincinnati. The full appeals court then rejected a request from Zuern's attorneys that it intervene in the case. Attorneys did not at tempt to appeal to the U.S. Supreme Court, which would have been Zuern's only hope to live another day. Zuern's death was not enough for co-workers and relatives of his victims. "William Zuern Jr. went too easy today. I believe that he should have died the way Phil died," said Jeff Roush, a Hamilton County sheriff's deputy who witnessed the murder of his colleague and friend, Phillip Pence. "This case was nothing more than putting a mad dog to sleep," he said. Rousch was unhappy that Zuern never met his glare. "I think he just cowarded his way out. We just glared at him (during his execution) but he wouldn't look at us," he said. Rousch's thirst for vengeance was shared by Joseph Burton, another coworker who witnessed Pence's murder, and family members of Zuern's two murder victims -- Pence and Gregory Earls, who Zuern fatally shot. "It was too easy on him. It was too easy," said Sherry Behler, Pence's half-sister, after witnessing the execution. Juanita Earls, the mother of Earls, Zuern's first victim, said after the execution, "My son was murdered by William Zuern. I waited 20 years to see justice done for my son. For that, I'm grateful. He died more merciful than my son and Phillip Pence died. He was an animal." Zuern was placed on his back on a padded table to be prepped for his death. Technicians placed shunts into both of his outstretched arms as Zuern alternately closed his eyes and narrowly opened them. His face remained stoic throughout the process, which took several minutes and caused him to bleed visibly out of his right arm. He was dressed in a prison-issued white shirt, blue pants with red stripes running down each side, and white socks. He wore his own brown hiking boots. His head was shaven, and he wore a thick beard without a moustache. Zuern complied with every command, lifting his hands to be placed in handcuffs before he was led into the death chamber. The chamber was dimly lit with a tiled floor and cinder block walls painted white. Warden Haviland picked up a microphone and asked, "Mr. Zuern, do you have any last statement you would like to make?" "Nope," was Zuern's terse reply as he continued to stare at the ceiling. He never turned to see witnesses in either of two small rooms that were separated by from the death chamber by windows. Haviland gave a secret command at 9:58 a.m. to begin injecting the drugs, and two officials turned on IVs to begin pouring drugs into his veins. Only one of the two cocktails contained the lethal drugs, and neither operator knew which one was real and which was harmless, according to Dean. Within two minutes, Zuern's breathing became faint, and within three, breathing was no longer visible. By 10:01, his head began turning purple. After Zuern was pronounced dead, witnesses were led back through a courtyard where a black Cadillac hearse awaited. Zuern was transported to a local funeral home and will be buried in a state-run cemetery adjacent to a prison in Chillicothe. His family did not have the means to arrange a private burial, Dean said. Zuern, who had been held on Death Row in Mansfield, arrived in Lucasville shortly after 1 p.m. Monday. He ate his last dinner about four hours later - mashed potatoes and gravy, lasagna, macaroni and cheese, garlic bread, corn, chocolate milk and cherry cheese cake. This morning he had four pancakes, cereal, orange juice and milk. He was offered a shower, but declined. He steadfastly refused to communicate with the preparation team. The team, designed to answer the condemned's questions and take care of physical needs, said Zuern took extreme measures to avoid them. "He has gone as far as putting toilet paper in his ears," a spokeswoman said this morning. He has also turned his back to the counselors, turned his face to the wall and stared at the ceiling, she said. Two of his sisters, Ruby Simpkins and Ester Zuern, arrived today but he refused to see them. He spent a restless night Monday, falling asleep at about 10 p.m., but waking up several times throughout the evening. During his 20-year prison stay, Zuern never allowed a single visit by family or friends. Only his attorneys saw him, and he made no exception on the last day of his life. The sisters, both of the Dayton area, were turned away from the prison. Prison officials said he would meet with no spiritual adviser today. He had no witnesses on his behalf at the execution. "He doesn't want any witnesses," said Andrea Dean, a spokeswoman for the Ohio Department for Rehabilitation and Correction. "Nobody will be there." Pence's family had three witnesses: Behler, his half-sister, Rousch and Burton. At Zuern's request, his last effects will be destroyed : five books, a radio, a typewriter, a fan, envelopes, toiletries, hot sauce, cocoa butter and garlic butter. Outside the prison, death penalty opponents gathered and prayed. They set up signs of protest and drawings and photographs of previously executed Ohioans. Tina Bush, a member of the Cleveland Coalition Against the Death Penalty, has been active protesting capital punishment since 1999, when Ohio reinstated its death penalty. "We are against the execution of any people. I do not believe that because a person takes a life that the state should take another life. Two wrongs do not make a right, and all killing is wrong," she said. Bush said her opposition to state-sanctioned killing is not meant as any lack of sympathy for victims. "Phillip Pence should not have died at William Zuern's hand. William Zuern should not die at the state's hand," her hand-made sign read. The Rev. Neil Kookoothe, of St. Clarence Church in North Olmstead, said he was there to be a witness for Zuern's fellow Death Row inmates who the Catholic priest counsels in Mansfield. In a statement issued Monday, Ohio Gov. Bob Taft, who was a Hamilton County commissioner when Pence was killed, noted: "Mr. Zuern has never shown remorse for his crimes, and during his incarceration has engaged in other crimes and conduct violations, including the kidnapping and threatened murder of two corrections officers." Taft noted Zuern, declined to participate in the clemency process, and his at torneys did not attend the clemency hearings. After thoroughly reviewing Zuern's criminal record and convictions and recommendations from the Ohio Parole Board, county prosecutor's office and sheriff's office, "I can find no compelling reason to grant clemency," Taft said. Messages left Monday for Zuern's attorneys in Dayton and New Mexico were not returned. After Zuern was convicted of Pence's aggravated murder, he had his defense attorneys read a statement in which he said it was his opinion that there was "no testimony I or anyone else could offer which would have any effect on this jury." Zuern said he realized if he offered no mitigation evidence, the jury can come to but one decision, and that is death by electrocution. "I have no death wish, and I do not wish to die," his statement added. "However it is not my nature to beg or crawl." His attitudes toward the sentence since his arrival at Lucasville, where Ohio conducts all its executions, were not known, prison officials said. Zuern has not talked to prison officials about the matter. Rice overturned Zuern's conviction in 2000, but the Cincinnati-based 6th Circuit reinstated it in July. Zuern also is serving a life prison term for his guilty plea to fatally shooting a Lower Price Hill man. He had been awaiting trial on that slaying when county jail officials received a tip that Zuern had a homemade knife. Zuern was alerted that officers were coming to search the cell for the weapon and whenthey Arrived, he stabbed Pence in the chest with a dagger-like piece of metal he had fashioned from a bucket handle, officers said. Zuern is the fourth Ohioan executed this year, preceded by Lewis Williams of Cuyahoga County and Glenn Roe and William Wickline, both of Franklin County. There are now 208 inmates on death row in Mansfield, including one woman. Eleven people have been executed by the state since the death penalty was reinstated in February 1999. More than half the condemned are black, according to the states figures. Blacks number 104, with 98 whites, three Hispanics and four whose race was listed as other on Death Row. Associated Press - Lucasville - A man was executed Tuesday for stabbing a jail guard to death with a homemade knife. He spent his final hours alone, refusing to see his two sisters and sticking toilet paper in his ears to block out prison staff. At one point, Zuern removed the paper from his ears and asked a guard, "What time does all of this start?" said Andrea Dean, spokeswoman for the Department of Rehabilitation and Correction. When asked if he had any last words before execution, Zuern said, "Nope." William Zuern, 45, was pronounced dead by injection at 10:04 a.m. at the Southern Ohio Correctional Facility. His lawyer, Kate McGarry, had decided against taking the typical step of asking the U.S. Supreme Court to stop his execution, but she would not say why she made that decision. Zuern, who remained calm and kept his eyes pressed tightly closed throughout most of the injection process, was convicted of aggravated murder in the 1984 stabbing of jail officer Phillip Pence in Cincinnati. At the time of that stabbing, Zuern had been serving a life prison term for his guilty plea in the killing of Gregory Earls of Cincinnati, according to the Cincinnati Post. Pence's half-sister and two co-workers who witnessed the stabbing watched as Zuern's breathing became jerky and his face and fingertips turned blue when the muscle relaxant and heart-stopping drugs traveled through his body. They said they thought the execution was too easy on Zuern. "I believe he should have died the way Phil died," former Hamilton County Sheriff's Deputy Gary Roush said. "This case was nothing more than putting a mad dog to sleep." Zuern had no witnesses at the execution, and no relatives had come to visit him until his sisters came to the prison Tuesday. 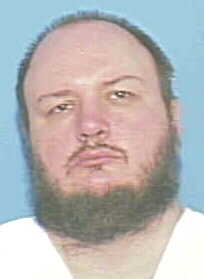 William Zuern is scheduled to be executed in Ohio on 8 June 2004. He was sentenced to death in October 1984 for the murder of a jail guard, Phillip Pence, in the Community Correctional Institute in Hamilton County four months earlier. William Zuern has been on death row for almost two decades. According to the evidence at trial, William Zuern, who was in pre-trial detention on a murder charge, stabbed Officer Pence with a sharpened bucket hook during a cell search on 9 June 1984. Phillip Pence died in hospital as a result of the stab wound. At the subsequent trial, the jury convicted William Zuern of aggravated murder. The defendant waived his right to present mitigating evidence, and the jury recommended a death sentence, finding that the murder had been committed with prior calculation and design. The Supreme Court of Ohio affirmed the death sentence in 1987. Two of the judges dissented on the grounds of a prejudicial statement made by a prosecution witness in front of the jury. The witness, a fellow inmate, had repeated a conversation he said he had had with a jail guard shortly before the stabbing. He recalled under questioning by the prosecutor that he had said of William Zuern: "He is crazy, man, he is in here for murder, and he won't hesitate to do it again". The defence had called for a mistrial, which the judge denied. The dissenting judges in the Ohio Supreme Court wrote that they could not "imagine anything more harmful or inflammatory in character than testimony of this nature… [Zuern] was denied fundamental due process of law and a fair trial by his peers and a second trial should be granted". In 2000, a federal district judge granted William Zuern a new trial on the grounds that the prosecution had withheld evidence favourable to the defendant and which had undermined confidence in the jury's decision that Zuern had planned the murder. In 2003 the US Court of Appeals for the Sixth Circuit overturned the district judge's decision, deciding that even if the prosecution had turned over the evidence, the outcome of the trial would likely have been the same. LUCASVILLE - William G. Zuern died at 10:04 a.m. Tuesday alone - just as he spent the last 20 years. No clergy, no attorneys and none of Zuern's family watched as a prison executioner pumped a lethal mix of drugs into his arms, killing him in six minutes. Zuern, 45, said nothing and lived up to the promise he made at his murder trial: He would not beg for his life. Zuern was executed after exhausting all his appeals in the June 9, 1984, fatal stabbing of Hamilton County jailer Phillip Pence. Pence's sister and two men who worked with Pence at the county's now-closed jail in Camp Washington watched Zuern die. Zuern appeared peaceful when he walked into the death chamber just before 10 a.m. He kept his eyes closed and did as he was asked. He climbed on the gurney and was strapped down. Asked if he had he anything to say, he responded: "Nope." He put his arms out and two members of the execution team injected the Price Hill man with drugs that put him to sleep, stopped his breathing and shut down his heart. He took several breaths and then appeared to slip into a nap, with only a slight darkening of his cheeks and fingertips indicating that life had drained from his 6-foot-1-inch, 270-pound body. The execution comes one day shy of the 20th anniversary of Pence's murder. For nearly 20 years, Gary Rouse, who worked with Pence at the jail, has carried a copy of Zuern's death warrant and has waited for this day. "William Zuern went too easy,'' Rouse said after witnessing the death. Zuern should have died as Pence did, he said. With a panicked, pained look on his face. "This was like putting a mad dog to sleep,'' Rouse said. Sherry Behler, Pence's sister, said Zuern should have been put to death years ago. "The appeals process took too long,'' she said. Zuern was jailed awaiting trial for shooting to death Gregory Earls, 23. Jailers got a tip that Zuern had a weapon and when Pence went to search the cell, Zuern lunged at Pence, stabbing him in the heart with a homemade knife fashioned from a metal bucket handle. A Hamilton County judge sentenced Zuern to die for Pence's death and imposed a life sentence for Earls' death. The case weaved its way through state and federal courts until last month, when the Ohio Supreme Court set the execution date. Monday, attorneys for Zuern and the state filed a flurry of motions that briefly stayed the execution. But just before 7 p.m., a federal appeals court ordered the execution to go forward. Zuern's lawyers declined to appeal that decision to the U.S. Supreme Court. Zuern made the trip to the Death House at the Southern Ohio Correctional Facility in Lucasville at 1:08 p.m. Monday. He asked that the Bible be removed from his cell and refused to listen to the execution team as they worked to prepare him. Zuern stuffed toilet paper in his ears, said Andrea Dean, spokeswoman for the state's prison system. He ate all of his last dinner, which included lasagna, macaroni and cheese, cherry cheesecake and chocolate milk. He awoke at 4 a.m. Tuesday after a restless night of sleep, Dean said. He ate a breakfast of four pancakes, cereal and milk. He spent the rest of the morning pacing his cell. He did not talk to the execution team - a group of volunteers who work in various jobs and are specially trained for the execution. Zuern sent his two sisters away after they drove to the prison from the Dayton area. He has never had a visitor during his 20-year prison stay, but the sisters had hoped he would see them so they could spend one last time as a family. He declined to shower before changing into the prison's execution uniform, which included a white T-shirt, blue cotton pants and brown work boots at 9:30 a.m. Zuern is the 12th inmate - the third from Hamilton County - to be executed since 1999, when the state resumed executions. The execution began two minutes earlier than the scheduled 10 a.m. time. He is the only one who has declined to have a spiritual adviser at his side. Because his family is unable to afford a funeral, the state will bury Zuern's body in a Chillicothe cemetery Thursday. A prison minister will preside. Zuern asked that his belongings - a radio, typewriter and a handful of books - be destroyed. Seven members of Zuern's first victim, Earls, spent the morning at the prison, although they didn't witness the execution. "Even though he didn't get death for my son, he still got it, and for that I'm grateful,'' said Juanita Earls. Rouse and another deputy, Joe Burton, who worked with Pence, spoke passionately about how much Pence's mother meant to him. "When (Pence) died, basically she died, too,'' said Burton, who remained close to Pence's mother, who died in 1999. "One of her main wishes was to live to see this.'' "I might see her on the other side,'' Burton added. "If I do, I'll tell her that justice was served at 10:04 a.m. June 8, 2004." LUCASVILLE, Ohio - Condemned inmate William Zuern did not want to listen. In the hours leading to his death yesterday morning, Zuern stuck toilet paper in his ears as members of the execution team explained the lethal injection procedure and were ready to answer his questions. "He said he didn't want to hear anything they had to say," said Andrea Dean, a state prison spokesman. Zuern's sisters, Ruby Simpkins and Ester Zuern, traveled to the state maximum-security prison from their homes in the Dayton area. Zuern, 45, refused to meet with them. They left the prison 90 minutes before the execution, and a prison official described them as very sad. "They wanted to visit with their brother before the execution, and he chose not to," said Ms. Dean. "That is why they haven't visited him in his entire prison stay. He told them not to come and see him. They thought because this would be the last time they could be together as a family, he would have a change of heart today. But in fact he did not do that." The state executed Zuern, a former Cincinnati resident, for the aggravated murder of Phillip Pence, a jail officer at the Community Correctional Institution, which was known as the "workhouse" and is now closed. Zuern was in jail on charges that he murdered 26-year-old Gregory Earls. On June 9, 1984, Mr. Pence and other jail guards went to search Zuern's cell after being tipped off he had made a knife out of a piece of metal. As the cell door opened, Zuern stabbed the 26-year-old Pence in the chest, piercing his heart. "William Zuern went too easy today," said Gary Roush, a fellow Hamilton County sheriff's deputy who was 22 and with Mr. Pence when Zuern stabbed him. "I believe he should have died the way that Phil died; the panicked look on his face, the pain." "Any opponents of the death penalty, this case here is nothing worse than putting a mad dog to sleep. In society, there is a place for vengeance," said Mr. Roush, who now works for a township police department in Clermont County. The time of Zuern's death was 10:04 a.m. He was the 12th man to be executed in Ohio since the state resumed carrying out the death penalty in 1999. Zuern never made eye contact with the three victim witnesses and did not struggle or show any emotion as he was strapped to the gurney and injected with three drugs that made him unconscious, paralyzed his lungs, and stopped his heart. He had declined to choose anyone to witness his death. When asked by Warden James Haviland if he had a final statement, Zuern replied: "Nope." "I did tell the victim's family that it hits closer to home, especially since there were … people murdered right here at this prison," said state prison director Reginald Wilkinson, referring to the 1993 riot in which one guard was killed. "The people who work in this business are a pretty tight-knit group of people, and definitely don't like it when people disrespect the people who perform this very serious work," Mr. Wilkinson added. Zuern became the first condemned inmate since 1999 to decline access to a spiritual adviser, Ms. Dean said. Shortly after arriving at the maximum-security prison in Lucasville on Monday from death row at the prison in Mansfield, he asked for the Bible to be removed from his holding cell. It was. Despite placing toilet paper in his ears, Zuern could hear what the execution team members told him about the lethal injection process, Ms. Dean said. In the holding cell down the hall from the execution chamber, Zuern kept his back to the execution team members in the hours leading to his death and was very distant, Ms. Dean said. Zuern's funeral is set for tomorrow afternoon. His body will be buried at the state prison cemetery in Chillicothe. Zuern asked the state to throw away the personal belongings he brought with him to Lucasville from Mansfield: a radio, five books, a fan, envelopes, a typewriter, and containers of hot sauce, cocoa butter, and garlic powder. "Impending Ohio Execution Brings Back Violent Memories; New Book Examines Causes of Lucasville Riot as Inmate Faces Lethal Injection." LUCASVILLE, Ohio, June 7 /PRNewswire/ -- Time is running out for Mansfield Correctional Institution inmate William Zuern, who is scheduled to be executed June 8 for the 1984 stabbing death of corrections officer Phillip Pence. The Ohio Parole Board is recommending the governor give no clemency to the convicted killer. The execution will add one more chapter to the prison's violent past. On Easter Sunday 1993, inmates took control of the facility and held it for 11 days, resulting in what was then the longest prison riot in American history. Nine inmates and one guard were killed during the standoff. One of the hostages from the infamous Lucasville riot now provides detailed insight into the horrifying ordeal in "Siege in Lucasville" (now available through AuthorHouse), by Gary Williams. The violence that has resided behind concrete walls and barbed wire in the past still haunts this location today. Williams writes that the riot was the culmination of prisoner defiance that had been a part of the prison for decades. His book chronicles the uprising and takeover through the experiences of prison guard Larry Dotson and details the entire grueling period, including the beatings at the hands of an "inmate death squad." Williams conveys the fear that Dotson and other hostages tried to ignore in order to survive as it examines the events leading up to the riots, including what he and others cite as lack of effective leadership at the state level of the corrections department. "Siege in Lucasville" is a case study in interpersonal communication, leadership and crisis management. It exhibits how neglect, insufficient funds and poor management can lead to catastrophe. Highly acclaimed by those in criminal justice and academic law, "Siege in Lucasville" takes a hard look at the Ohio Department of Corrections and the factors that led to one of the worst prison riots in American history. Zuern's execution is scheduled for 10 a.m.
Minutes of the special meeting of the Adult Parole Authority held at 10:30 Alum Creek Drive Columbus, Ohio 43205 on the above date. PROSECUTING ATTORNEY: Arthur M. Ney, Jr.
Clemency in this case was initiated by the Honorable Bob Taft, Governor of the State of Ohio, and the Ohio Parole Board, pursuant to Section 2967.03 of the Ohio Revised Code, and Parole Board Policy 105-PBD-01. A Death Row Clemency Review Hearing was conducted on May 25, 2004, with nine members of the Ohio Parole Board participating. There were no participants present on behalf of the defendant. Present at the hearing on behalf of the State were Assistant Hamilton County Prosecutor Ronald Springman, Assistant Attorney General Charles Willie, and Assistant Attorney General Tim Pritchard. Also present was Mr. Gary Roush, a friend and former co-worker of the victim. After reviewing and deliberating the information provided, the Parole Board voted and reached a unanimous decision. We now submit to the Honorable Bob Taft, Governor of the State of Ohio our report and recommendation. The following account of the instant crime was obtained from the Ohio Supreme Court’s review of this case on August 12, 1987, via appeal as of right, whereupon said court affirmed the conviction and sentence imposed by the Hamilton County Court of Common Pleas. On May 14, 1984, defendant, William G. Zuern, was incarcerated at the Community Correctional Institute (“CCI”) in Hamilton County, Ohio. He was the sole occupant of a cell located in a section of the institution designed for those individuals charged with serious crimes. Some time in the latter part of May 1984, Zuern had a conversation with another inmate, Wayne C. Lewis, in which he expressed a general animosity towards correctional officers for failing to give him his full five minutes of telephone time. Lewis also had observed Zuern sharpening a straightened portion of a metal bucket hook over the course of three days. Thereafter, Lewis informed a corrections officer that appellant had a knife or a shank. CCI supervisors ordered a search of several cells to recover the weapon. On the evening of June 9, 1984, several officers were ordered to search Zuern’s cell, among others. At approximately 10:20 p.m., Officers Joe Burton and Phillip Pence arrived to perform the search and found Zuern lying naked in his bunk. Officer Pence ordered Zuern to get to his feet. Zuern then stood at the door of the cell. Pence unlocked the cell and told Zuern to come out and put his hands against the wall. Zuern suddenly lunged at Pence and stabbed him with the metal shank. The instrument entered Pence’s body at the lower left side of the chest. After the door was secured and Zuern confined, Pence lifted his shirt to observe the wound, at which time he began to feel faint. After a nurse was summoned, Pence was rushed to a nearby hospital. Despite efforts to save his life, Pence died. An autopsy determined that death occurred as a result of the stab wound to the chest which penetrated Pence’s heart. Authorities immediately recovered the weapon used by Zuern. It was a long dagger-like piece of metal, approximately seven inches long. One end was sharpened to a point, and the other was curved into a loop. Zuern was indicted for purposely causing the death of another with prior calculation and design in violation of R.C. 2903.01. Three specifications, pursuant to R.C. 2929.04(A)(4) and (6), were part of the charge: that the offense was committed while Zuern was a prisoner in a detention facility as specified in R.C. 2929.04(A)(4); that the offense was committed while the victim was a peace officer, whom Zuern knew to be such, and at the time of the commission of the offense, the victim was engaged in his duties as a peace officer as specified in R.C. 2929.04(A)(6); and that the offense alleged in this indictment was committed while the victim was a peace officer, whom Zuern knew to be such, and at the time of the commission of the offense alleged herein, it was Zuern’s specific purpose to kill a peace officer as specified in R.C. 2929.04(A)(6). A jury trial was held and at the conclusion of all proceedings, Zuern was found guilty of aggravated murder including all three specifications. Zuern waived the mitigation hearing which permitted the jury to consider all aggravating circumstances. After the mitigation phase, the jury recommended that the sentence of death be imposed. The trial court filed a written opinion and having found that the aggravating circumstances outweighed the mitigating factors beyond a reasonable doubt, imposed the sentence of death. In January, 1979 the victim took an undercover police officer to Inmate Zuern’s father’s residence. The undercover officer made a narcotic buy from the inmate’s father, and the father was subsequently convicted for the offense and given probation. In May, 1979 both the inmate and victim were incarcerated at the Lebanon Correctional Institution. On May 6, 1979 inmate and victim got into a fight in the yard that started with a confrontation by the inmate. Eventually the victim was paroled and inmate Zuern was released due to his sentence expiring. On 5/12/83, at approximately 12:40 a.m. inmate was at a friend’s house socializing when he saw the victim get out of a car. The victim started walking toward the inmate, and the inmate started yelling. After a short conversation, the inmate was approximately 3 feet away from the victim when he drew a revolver from the back of his pants, pointed it at the victim’s chest, and fired one shot. The victim staggered backward, and the inmate fired a few more shots. The victim was transported to the hospital where he was pronounced dead. On November 19, 1984 the inmate pled to the indictment of Aggravated Murder. 01-15-73 Age 14 Burglary 4-4-73: probation, fine, costs and house arrest. 03-21-73 Age 14 Violation of Court Order 3-23-73: Adjudicated delinquent; probation, fine, house arrest. caught trying to sell some contraband (marijuana) and a syringe. 05-29-73 Age 14 Violation of Court Order 6-6-73: permanent commitment to OYC suspended, continued on probation; Failed to attend school and obey parents. 12-13-73 Age 15 Violation of Court Order 12-14-73: adjudicated delinquent.12-17-73: permanent commitment to OYC; paroled. 3-7-75. 09-11-75 Age 16 Petit Theft 9-26-75: continued under previous status of official probation. 01-7-76 Age 17 Attempted Robbery 1-8-76: adjudicated delinquent;1-16-76: commitment to OYC maximum security. 05-13-84 Aggravated Murder Cincinnati, 11-19-84: plead guilty as charged. Sentenced to Life concurrent. 06-09-84 Aggravated Murder Cincinnati, 10-13-84: Jury verdict of guilty as charged 10-15-84 sentenced to death. 10-14-85 Kidnapping Lucasville, 1985: Pled guilty to Abduction of jailers and sentenced to 2-10 years. • On June 26, 1985, Zuern stabbed a fellow death row inmate with a shank. The shank was made from a bedspring, with a handle made of cloth and rubber bands. The inmate suffered a superficial stab wound in the chest. • On August 26, 1985, Zuern sprayed human waste on Officer Michael Warren. • On August 31, 1985, Zuern set fire in his cell and was treated for smoke inhalation. • On September 11, 1985, Zuern head-butted inmate McLellan while being escorted to an RIB hearing. • On September 27, 1985, during a hearing before the Administrative Control Committee, Zuern overturned a table, resulting in injury to Officer Jack Bendolph. • On October 14, 1985, while being held in the J1 unit at SOCF, Zuern, along with fellow death row inmates John Byrd and Jay Scott and inmate Eric Swofford, kidnapped Officer William Dunn and Officer Randy Mehaffey. During the course of the negotiations, Zuern threatened to kill the officers. At 2:53 a.m. on October 15, 1985, the inmates released Officer Dunn in exchange for a radio. At 3:46 a.m., the inmates released Officer Mehaffey in exchange for an opportunity to air their grievances on a local radio station. During the standoff, the inmates destroyed several sinks, a toilet and an electric console. Zuern was indicted in Scioto County for Kidnapping, with a specification due to his prior aggravated felony conviction. Zuern agreed to plead to the lesser charge of Abduction, and was sentenced to a term of 2-10 years. In addition, Zuern along with the aboveindicated inmates raped and stabbed a fellow inmate. • On November 13, 1986, Zuern threw three cups of human waste at Officer Asbery Arnett, one of which hit Officer Arnett in the face. Zuern also threw two bars of soap at Officer Arnett, both of which struck Officer Arnett in the head. When Zuern was removed from his cell, officers located a shank in Zuern’s cell fashioned from a bedspring, rubber bands and a toothbrush handle. Zuern admitted that he planned to assault the guard with the weapon because the guard gets paid for working at the institution. Zuern also stated that he was bored and needed some excitement. • On October 28, 1987, Zuern destroyed a sink. The Ohio Parole Board received no written application for clemency on Zuern’s behalf and Zuern himself elected not to be interviewed by a member of the Board. The only information received from Zuern’s counsel was a letter dated May 21, 2004 from attorney Kathleen McGarry. In sum, Ms. McGarry indicated that defense counsel had decided not to participate in the hearing, and it was their belief that their client would not want them to initiate clemency proceedings or appear on his behalf. Therefore, no request for clemency was made or mitigatory information presented by Zuern or on his behalf through counsel. The Ohio Parole Board did receive a petition containing 102 signatures requesting that the Board recommend and the Governor commute Zuern’s death sentence. • There exists no doubt that Zuern committed the offense for which he received the death penalty. Zuern only disputed at trial that the offense was committed with prior calculation and design. However, Zuern surreptitiously obtained the weapon and took days to develop it. Zuern knew that officers were going to search his cell and disrobed prior to the attempted search in order to appear non-threatening. Upon Officer Pence opening his cell, Zuern lunged at Officer Pence and used the weight of his shoulder to plunge the shank deep enough into Officer Pence’s chest to cause death. Immediately after stabbing Officer Pence, Zuern sat back down, remained calm and showed no remorse. Subsequent to stabbing Officer Pence, Zuern stated that it felt good to stab someone and that he “got his nut”. Zuern at no time since committing the offense has shown any remorse. • The trial was relatively short, uncomplicated and straightforward. The facts of this case clearly indicate that the death penalty was a proper punishment and was not unjustly imposed. A jury lawfully imposed the death penalty on Zuern, and his conviction and sentence have not been disturbed after nearly twenty years of judicial scrutiny by every level of both the state and federal courts. • Zuern’s criminal history is extensive and violent. He was incarcerated for an Aggravated Murder charge when he committed the Aggravated Murder against Officer Pence. He subsequently plead guilty to the additional Aggravated Murder charge and was sentenced to Life. • Zuern’s institutional conduct has been problematic. There may be no inmate less deserving of clemency. • No basis for the granting of clemency has been offered. Former Deputy Sheriff Gary Roush appeared and spoke on behalf of the victim Phillip Pence. Mr. Roush stated that the victim was only 25 years old at the time of his death, and had just begun his law enforcement career. The victim had plans to start his own business, but was unable to do so due to his untimely death. In addition, the victim was the only living relative of his mother. When she died, no one was there to ensure that her grave was properly attended to. Mr. Roush was present when the victim was stabbed by Zuern and described the brutality of the offense. Immediately after the stabbing, the other inmates were “going wild”, except for Zuern who sat in his cell calmly. Mr. Roush stated that Zuern lacks any redeeming value as a human being, and his incarceration places other officers in jeopardy. Mr. Roush then read a letter from the victim’s step sister Sherry Behler. Ms. Behler is adamantly opposed to clemency. In addition, approximately 44 letters in opposition to the commutation of Zuern’s death sentence have been received. At present, William Zuern’s scheduled execution date of June 8, 2004 has been stayed. Mr. Zuern declined an interview by the Parole Board. The Parole Board reviewed the documents and deliberated extensively on the information provided. No mitigation was offered and no request for mercy was made by William Zuern. The Parole Board could find no mitigating factors to outweigh the overwhelming aggravating factors in this case. Therefore, the undersigned members concur with the imposition of the death penalty in this case, and find that the exercise of clemency is not warranted. The Ohio Parole Board, nine (9) members participating, by a vote of nine (9) to zero (0), recommends to the Honorable Bob Taft, Governor of the State of Ohio, that Executive Clemency be denied in the case of William Zuern #A181-416. The record discloses that beginning on May 14, 1984 defendant-appellant William G. Zuern (appellant) was incarcerated at the Community Correctional Institute (CCI) in lieu of a $1,000 bond. [FN1] Appellant was the sole occupant of a cell located in a section of the institution designated for those individuals who are charged with serious crimes or who are under a high bond or considered to be a special case. During the period from June 5 through June 7 of 1984, appellant was observed by other inmates fashioning a weapon (a shank) from a mop bucket handle. [FN2] This information was related to the authorities in the institution on June 9, 1984. As a result of that information, the members of the sheriff's department [FN3] assigned to CCI prepared to search for the weapon. The focus of their attention was the appellant's cell and the cell of another inmate. The record also contains evidence that the appellant had expressed animosity toward the CCI guards for their alleged failure to allow him his full five minutes of telephone time. At approximately 10:15 [FN4] on the evening of June 9, 1984, Sheriff's Deputies Phillip Pence [FN5] and Joseph Burton made their way to the appellant's cell to search for weapons. As they approached the cell, appellant was reclining on a bunk. Pence ordered the appellant to stand, exit the cell and place his hands on a wall so that the deputies could accomplish their mission. Appellant complied with the request to stand, and as Deputy Burton opened the cell door, appellant lunged toward Deputy Pence and stabbed him in the chest with the shank. Appellant withdrew the weapon from his victim as Burton successfully closed the cell door, thereby keeping the appellant within the cell. Initially, Pence was able to raise his uniform shirt and undershirt to examine the wound, which was approximately seven inches below the breastbone and three inches left of midline. However, he soon collapsed, mortally injured. Despite heroic efforts to save his life, Deputy Pence expired at University Hospital approximately two hours later. The Chief Deputy Coroner testified during the proceedings below that Pence suffered a stab wound that entered the right main chamber of his heart and exited through the upper chamber of the right side of the heart. The coroner expressed his opinion that the wound was the cause of Deputy Pence's death. The coroner further testified that the shape of the shank [FN6] was consistent with the wound to Pence's heart. On June 11, 1984 the Grand Jury of Hamilton County, Ohio indicted the appellant for the aggravated murder of Phillip Pence. [FN7] The solitary count of the indictment carried three specifications. The first stated that appellant was a prisoner in a detention facility, as set forth in R.C. 2929.04(A)(4). The second alleged that the victim was a peace officer, that appellant knew this, and that the victim was engaged in his duties as a peace officer at the time of the offense, as set forth in R.C. 2929.04(A)(6). The third specification alleged that the victim was a peace officer, that appellant knew this, and that it was the appellant's specific purpose to kill a peace officer, as set forth in R.C. 2929.04(A)(6). The cause was tried in the court below with the intervention of a jury, which returned a verdict of guilty as charged including all specifications. Appellant presented no evidence during the guilt phase of the proceedings below and the record discloses that he chose not to proceed to offer anything by way of mitigation. For that reason there was no penalty phase after the completion of the guilt phase of the trial. T.d. 66. The jury further recommended that the appellant be sentenced to death. On October 18, 1984 the court entered its sentencing opinion, including its finding that the aggravating circumstances which the appellant was found guilty of committing outweighed the mitigating factors in the case. The court followed the jury's recommendation that the death sentence be imposed upon the appellant. From that judgment the appellant brings this timely appeal in which he advances five assignments of error. Pursuant to the mandates of R.C. 2929.05, we shall: (1) address and pass upon each of the assignments (Section II); (2) determine independently whether the aggravating circumstances found to exist in the case outweigh, beyond a reasonable doubt, the mitigating factors (Section III); and (3) determine whether the sentence of death is appropriate after considering whether it is excessive or disproportionate to the penalty imposed in similar cases (Section IV). In conclusion, we have found that there is no merit to the five assignments of error raised by the appellant concerning the proceedings below that resulted in his conviction for aggravated murder. Next we find that the aggravating circumstances of this case outweigh any and all mitigating factors beyond a reasonable doubt. Finally, we hold that the sentence of death is appropriate in this case, as it is neither excessive nor disproportionate to the penalty imposed in similar cases. Accordingly, pursuant to R.C. 2929.05(A) , we affirm the appellant's conviction and the sentence of death imposed upon him in this case. SHANNON, P.J., and BLACK, J., CONCUR. This original action in mandamus came on to be heard upon separate motions for summary judgment filed by relator, William G. Zuern, and respondents, Sheriff Simon L. Leis and the Hamilton County Sheriff's Office (hereafter collectively referred to as "the Sheriff"). Upon consideration of the motions, the supporting documents and the stipulation filed by the parties, we conclude that no genuine issues of material fact remain to be litigated and that relator Zuern is entitled to judgment as a matter of law. In this action, Zuern seeks a writ of mandamus directing the Sheriff to disclose all of his investigative records pertaining to the homicide of Deputy Sheriff Phillip Pence, for which Zuern was convicted in 1984. Zuern asserts that the records are subject to the compulsory-disclosure provisions of R.C. 149.43, Ohio's public records law. The Sheriff has identified twenty-four documents contained in his investigative file, and has refused to disclose seventeen of those documents. While not disputing that the seventeen documents are "public records" under R.C. 149.43(A)(1), the Sheriff claims that they are excepted from release as trial-preparation records under R.C. 149.43(A)(4). [FN1] The Sheriff has filed the refused documents, under seal, with this court. As we have noted supra, the requested documents have been filed with this court under seal. Resultantly, to implement the granting of the motion of the relator for summary judgment and our order that a writ of mandamus issue requiring that the respondents disclose the contents of the requested documents and grant free access to them, we order further that the documents, which have been resealed by us, be returned to the respondents forthwith by the clerk of the Court of Appeals for Hamilton County by certified mail. Upon their receipt of the documents, the respondents are instructed to proceed to afford full access to them as ordered herein. PER CURIAM. This cause came on to be heard upon the appeals, the transcript of the docket, journal entries and original papers from the Hamilton County Court of Common Pleas, the briefs and the arguments of counsel. Petitioner William G. Zuern appeals from the order granting summary judgment to the state and dismissing his petition for post-conviction relief brought pursuant to R.C. 2953.21. The trial court held that an evidentiary hearing was not necessary to determine the issues raised in Zuern's petition and, concurrent with its entry dismissing the action and granting the state summary judgment, filed its findings of fact and conclusions of law. Zuern advances seventeen assignments of error. Because none of these assignments is well taken, we affirm the judgment of the trial court.